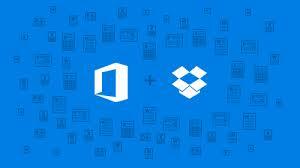 Dropbox and Microsoft are partnering to integrate Microsoft Office with the cloud-storage platform more closely than any other save Microsoft’s own OneDrive service. The joint venture brings Dropbox the credibility in the enterprise that it has been fighting for in recent months, while smoothing the sharp edges on Microsoft’s public image, proving that the Redmond-based firm can “play nicely with others”. The integration will launch with new versions of Office for iOS and Android in the next few weeks, and let users of both services save into Dropbox directly from Office, and edit Office documents directly from Dropbox. In early 2015, the integration will also extend to the two services’ web apps, and to the newly-announced Dropbox for Windows Phone app. The announcement took many by surprise, since Microsoft already has a cloud storage product: OneDrive, formerly SkyDrive. Lefebvre insists that OneDrive is “a continued investment”, and analyst Jeff Mann of Gartner agrees that the firm views OneDrive as a long term investment. “They are direct competitive, and I think Microsoft would prefer that everyone uses OneDrive,” he adds, “but there’s a couple of reasons why this happened. One is that for Dropbox it gives them enterprise credibility. It’ll look like an endorsement from Microsoft for using it for business, which is something that Dropbox is really anxious to do with their Dropbox for business and moving towards paid licenses. “And for Microsoft, it makes it look like they play nicely with others. Because there’s beginning to be grumbling about ‘it’s a closed system, and it has to be everything Microsoft’, and so they’re trying to show that they can play, that they’re willing to open things up, to work with others in the industry, so it gives them props for playing nicely. In September, Dropbox announced another partnership, this time with Google itself, aiming to make security tech easier to use. The two firms created Simply Secure, which has the mandate to improve adoption rates of security tools such as two-factor authentication in the wake of the Snowden revelations.